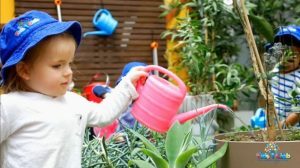 We believe the physical aspects of our early learning environments should support each child’s physical, social, emotional, language and cognitive needs. Through catering for different developmental needs with a range of activities and age-appropriate play materials that are changed to meet individual interests, and enable children to choose from a variety of options. We ensure that our learning environments are welcoming and inviting so that your child feels comfortable, safe and secure to explore, discover and make choices and decisions. 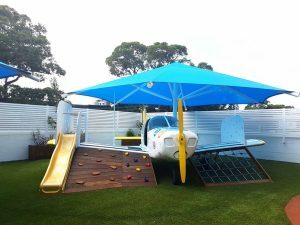 All of the rooms and outdoor spaces are designed specifically to meet the individual needs of the children in each age group. Listed below are the different types of learning environments that you will find in our rooms, and a brief description of their importance and benefits. 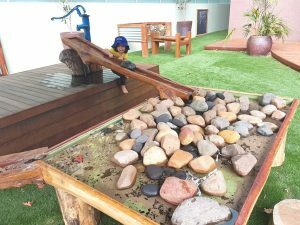 Our carefully designed outdoor spaces are an extension of our indoor learning environments. 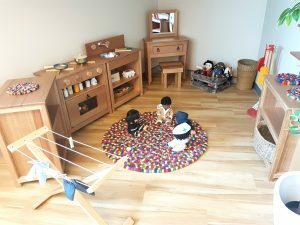 They are designed to promote independent exploration, competence and allow children to practice and reinforce their gross motor skills as well as create a lot of room for social interactions and imaginative play. We are seeing children as active participants in their learning who are responsible for maintaining the beauty of our spaces. 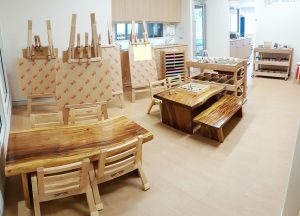 Each of the environments is different as we cater for different developmental needs of the children. We love connecting with nature and creating herb garden and growing some plants. In this area children will be engaged in cooperative play, negotiating turns, exchanging ideas and solving problems. The home environment offers many learning objectives for your child and supports their overall development. Being warm and welcoming to create a sense of belonging for children and their families. Art and craft experiences benefit all aspects of children’s development. Engaging in arts and crafts allows children to explore their emotions and the materials provided. Art is a great way to promote children’s learning as well as the development of specific skills like fine motor skills. 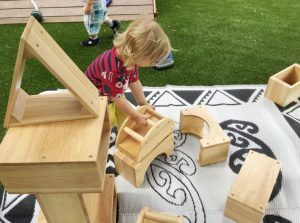 Blocks are an open-ended play material, in the block area children play together and share experiences. Blocks enable children to explore concepts across all developmental learning areas. We ensure the building blocks are inviting and welcoming so that your child feels comfortable to explore and dis-cover the possibilities of the blocks. 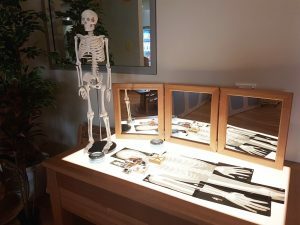 Your child will make a lot of fun experiments and will benefit from all our amazing resources including ipads, light tables or create their own! A library is an essential part of our learning environments and provides a variety of opportunities for further learning and development. The library is important as it enables children to become literate and use their imaginations. 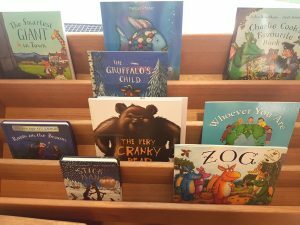 The library can offer children the time to engage in solitary play or group reading. Children develop gross motor skills whilst engaging in dance, yoga and movement experiences. Music can strengthen the outcome of many activities and children engage in making their own songs and developing their creative thinking skills. Incorporating music, dance and movement into our program encourages children to express their feelings and emotions. This area enables children to learn facts about the world around them. We provide first hand experiences for investigation and exploration to develop their cognitive skills. This area provides children with a hands on approach to inquire about science and nature. Through these positive and sensory experiences, children develop a range of skills. 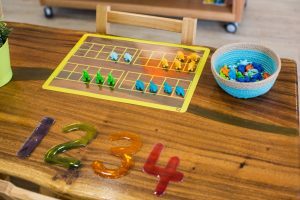 Math and numbers are everywhere in our world, therefore we aim to expose the children to the endless possibilities of numbers. Providing plenty of opportunities to the children to “do” numbers in will develop their problem solving and thinking skills. They can play in this area by themselves or with friends, however they want. This area will be encouraging children to recognise numbers in different settings. Children have a natural attraction to sand and water and exploring and playing with them. We provide children with time to explore these elements on their own as well as in group intentional experiences. Children begin to develop math and science skills during their play in water and sand. Sand and water play are also an effective method to calm children’s minds and bodies. The learning environments are always being updated, changed and rearranged. To ensure the children are always engaged in new exciting activities. They are adapted to each age and developmental needs. We encourage our parents and team to suggest new exciting learning environments.